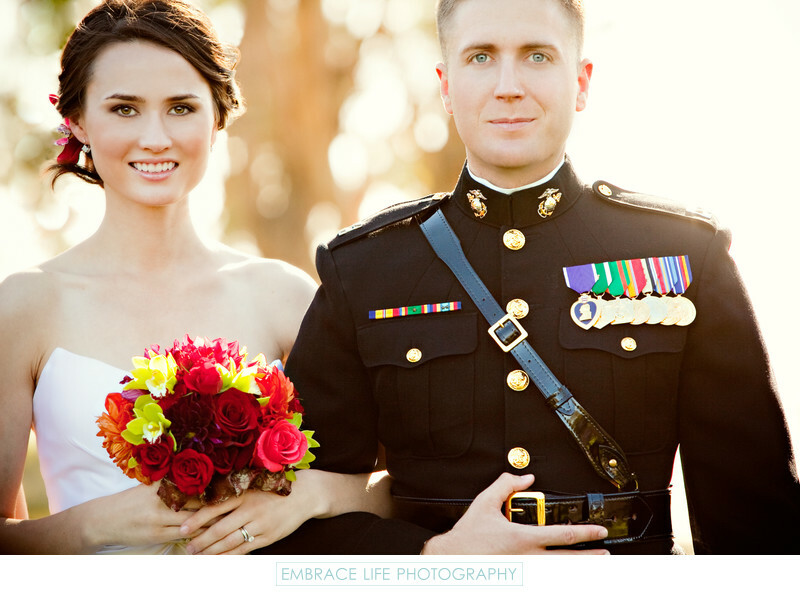 Beautiful military wedding photographed at Camp Pendleton Marine Corps Base. The ceremony took place in the Camp Pendleton Chapel and the reception was held at the historic Ranch House both on base in Oceanside (San Diego). The wedding was absolutely gorgeous and was a great mix of the bride and groom's cultures.